On June 12th, FIFA’s Football World Cup will kick off in Brazil, with the home side hosting Croatia for the opening match in Sao Paulo. Anticipation is building as the date approaches and football fans will soon be arriving in the city to pay homage at the birthplace of Brazil’s fabulous version of the beautiful game. Brazil will play in Gold, blue and green. Just to be clear, as the main demographic reading here is from North America, this is the Soccer World Cup. Nevertheless, 370,000 ticket applications were received from USA, which shows a real enthusiasm if slight confusion about the event which will be contested in Brazil during June and July 2014 and will likely attract television audiences of more than 3 billion over the course of the tournament. In excess of 100,000 high-spending enthusiasts are expected to travel to Brazil to support their respective countries at the matches which will be held in mini-leagues before the knock-out stages, culminating in the final game in Rio on Sunday 13th July. If you are planning a visit to see the opening game in Sao Paulo or any of the 5 subsequent games to be played there (England will play Uruguay on June 19. USA may get to play there if they make it to the semi-finals as Group G runner up. Hopefully they will drop out at this stage to England), you will almost certainly be looking around to see if you could fit in a little bit of birdwatching during your stay. Below are a few suggestions of sites within the city that can easily be reached using public transport. Much has been written about personal safety in Brazil and it is true that Sao Paulo has a high crime rate, but I hope that you will find, as I have, that the huge majority of Paulistas are honest, courteous and sophisticated. Take sensible precautions and be discrete with expensive jewellery, watches and optics, particularly if you intend to use the Metro system. Same as in most cities around the world really. 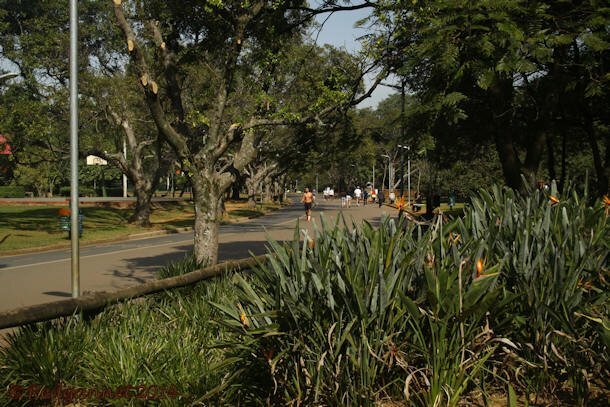 Ibirapuera Park is a city park with lakes, lawns and wooded areas. It is in the heart of the city with a gated entrance and regular security patrols. Open from dawn to dusk 7 days a week, it has an eBird hotspot list of 79 species from 16 submissions. 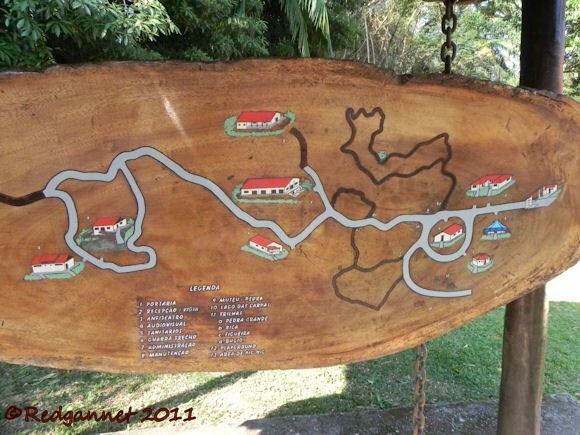 Parque Estudial da Cantareira is a forested area in the hills to the north of the city within easy reach of the Metro. It is gated and secure, but is only open at weekends and on public holidays. Timings are 08.00 ‘til 17.00. An employee/guide may be able to gain admittance for a private tour outside of these times (see below). It has an eBird score of 197 species from 25 checklists. Jardim Botanico can be found to the south of the city near the zoological Gardens. It features lakes lawn and forest. A nice feature is a boardwalk that passes through a section of forest. The gardens are strictly entrance controlled and provides a very safe atmosphere. Open 6 days, 09.00 ‘til 17.00. Closed on Mondays. 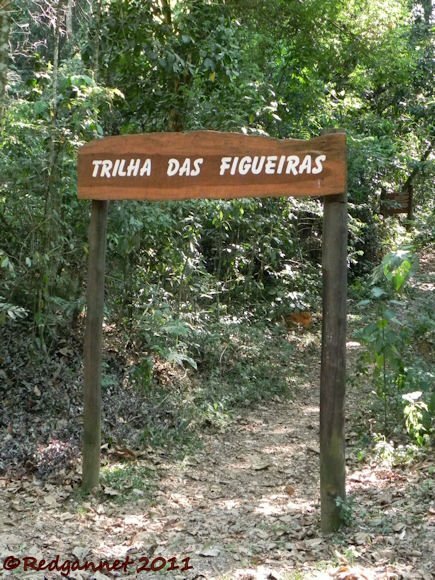 Parque Ecologico do Tiete is close to a poor section of town and personal security should be considered if travelling alone or with expensive optics. Nevertheless, it is likely to provide the best list of the featured sites. There is a security presence on the gate and regular patrols, but there are also some remote parts of the park. Dress down. Ibirapuera Park (Google Earth ref; 23 35 18S 46 39 36W) is the largest city park in Sao Paulo and very popular with the Paulistas who like to jog and walk on the paths and picnic and sunbathe on the lawns. Despite being so busy, it can be very productive for someone with limited time. All taxi drivers know the park and it should be relatively easy to pick up a return taxi from the street. It features lakes which can usually be relied upon for Neotropic Cormorant and White-faced Whistling Duck on the water with Kiskadees seemingly perched on every bank-side tree. Masked Water-tyrants stalk the edges and Southern Lapwings might be seen on any grassy area close to the water. An arched metal bridge gives a good view out onto the lake and provides a higher perspective for the surrounding treetops that may contain Saffron Finches, Picazuro Pigeons or Sayaca Tanagers. There is a big sky view from here where the Black Vultures will almost certainly be the first thing you see. Below the bridge, the lower lake dwindles to a small stream and the banks are less manicured than much of the lakeside. Amazon Kingfishers are likely to be seen along here. The flowering trees are likely to be visited by Plain Parakeets, Swallow-tailed Hummingbirds and Bananaquits while the lawns are always likely to bring a Rufous-bellied Thrush or a Rufous-collared Sparrow. There is a stand of large eucalypts which can sometimes bring a tanager or two, but there is better mixed forest on the southern edge of the park. Ruby-crowned Tanager and Fawn-breasted Tanager can be seen here and recently a Blonde-crested Woodpecker has taken up residence and seems to like this area. 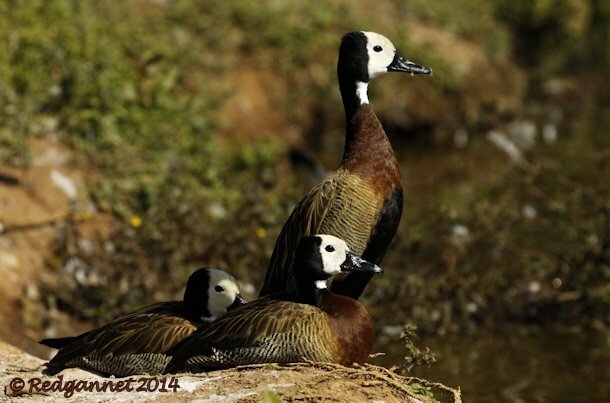 Most of these are very common birds which are widely distributed throughout Brazil. 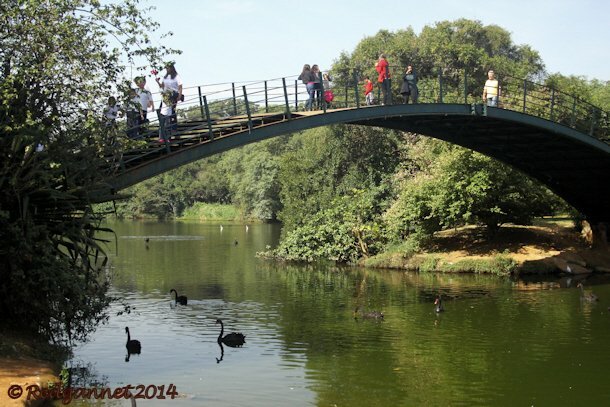 They should be relatively easy to see in most places, but Ibirapuera Park provides a reasonably safe environment and pleasant surroundings in which to enjoy them. 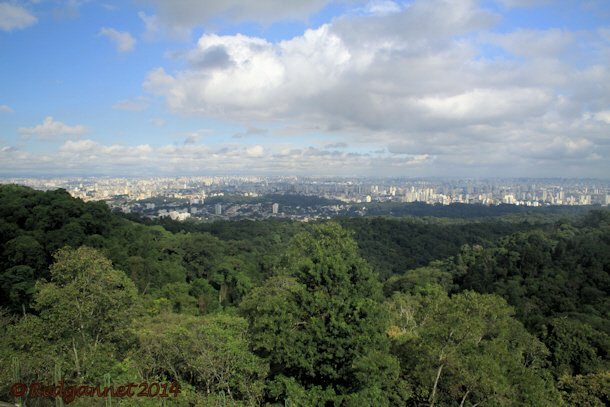 Parque Estudial da Cantareira (Google Earth ref; 23 27 17.33S 46 38 8.2W) is a delightful forested area to the north of the city and provides a spectacular viewpoint from which to view the metropolis. Why people come to the forest to look back at the city is beyond me, but it also allows a view across the canopy which may bring Channel-billed Toucans or Red-ruffed Fruitcrows. 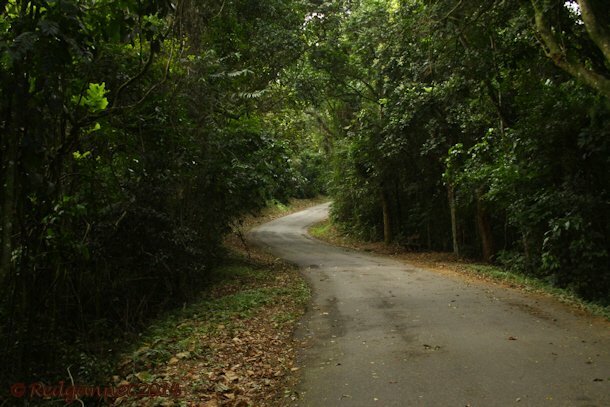 There are a number of trails that lead off from the main road into the deeper darker forest where the understorey is slightly thinner than along the road. Brassy-breasted Tanagers or Green-headed Tanagers may be seen higher in the canopy along with Blue Dacnis and any small patch of sky visible through the foliage will probably have a Black Vulture passing across it. Woodcreepers, spinetails and foliage-gleaners are likely to feature strongly in any low or mid-level bird party that you encounter, so mug up on likely candidates ahead of time. 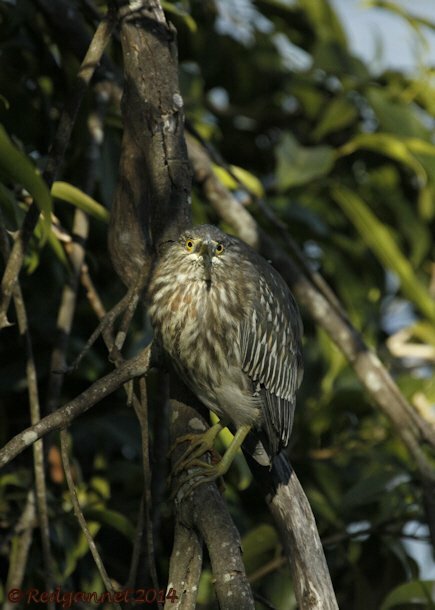 The forest floor is home to tinamous, Dusky-legged Guan and Spot-winged Wood-quail. 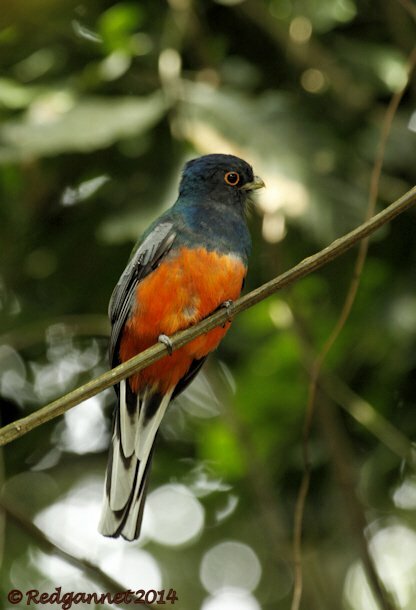 With luck, you may encounter a Surucua Trogon. A pair has been nesting by the roadside for some years, but they are not so predictable outside of the breeding season. The park has two main focus points: Pedra Grande is the big rock that provides the view across the treetops to the city. It can be found on the road which loops off from the main trail. The lower part of this loop often has much less human disturbance than the top half and thus can be more productive. The other attraction is Lago Das Carpas. There are toilets and picnic facilities here beside the lake which may have Little Grebe and an assortment of South American flycatchers. There is no transport inside the park and all travel must be on foot. A roundtrip to Lago das Carpas via Pedro Grande is a walk of about 6 or 7 miles. A few sections are slightly steep but anyone with a reasonably steady heartbeat should easily manage. There are three posted trails close to the entrance to help make the most of your time. The gates close at 17.00 and it is not always easy to judge exactly how long it will take to get back, so if you arrive at the gate before 17.00 but are reluctant to leave the forest until the last minute, the trails can soak up the last seconds before you are asked to leave. In case you have failed to engage a guide and the gatekeeper turns a deaf ear to your weekday pleading, there is a public park at the bottom of the hill. Alberto Lofgren Park has a small section of forest edge that is easily accessible, but not worth a whole day’s visit. To reach the park, take the Metro to Tucuruvi Metro Station and use a cab from there. Ask for Rua da Horto, 1799 Tremembe, Parque Estudial da Cantareira – Nucleo da Pedra Grande. If you cannot find a cab for the return journey, bus number 2740 plies between the Metro station at Parada Ingles and the small open area at the bottom of the hill outside Alberto Lofgren Park. 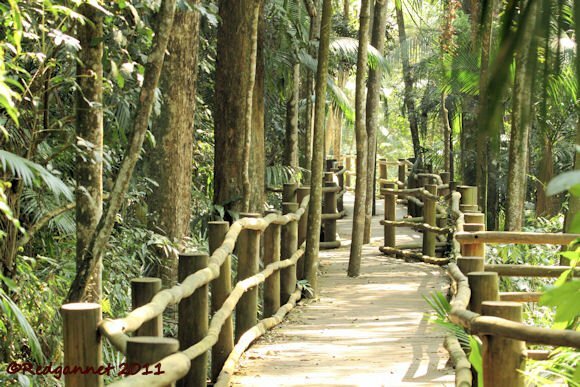 Jardim Botanico do Sao Paulo is the perfect place for those of a timid disposition. Entrance fees are charged, there is a security presence on the gate and ne’er-do-wells are seldom seen. It promotes a very secure atmosphere and one can relax and enjoy the birds in peace. It is situated beside a chunk of forest and incorporates part of it in the gardens. 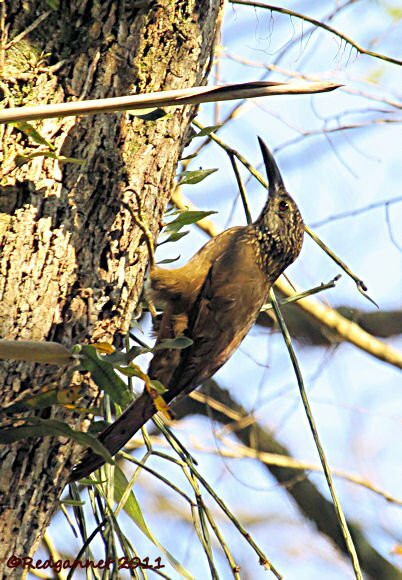 Woodcreepers and foliage-gleaners are likely in mid and lower levels. 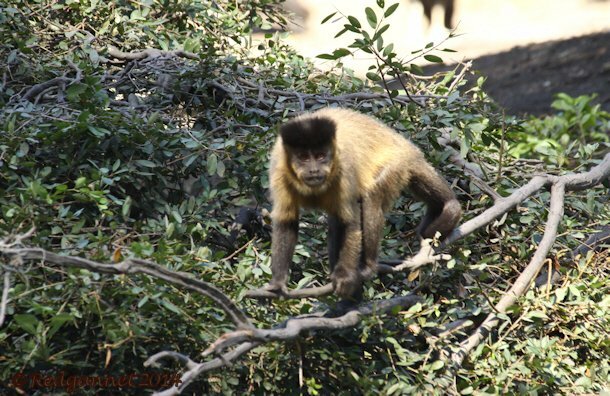 Look out for the Howler Monkeys too. At the furthest reach of the garden, a boardwalk has been built to raise visitors above the forest floor. It follows the flow of a tiny stream into the gloom under the canopy and runs for a couple of hundred meters. Small, ornamental lakes attract Greater Kiskadees, Social Flycatchers and Amazon Kingfishers. A Brazilian Teal may be seen here, but they are more likely on the less manicured lakes to the south of the entrance. 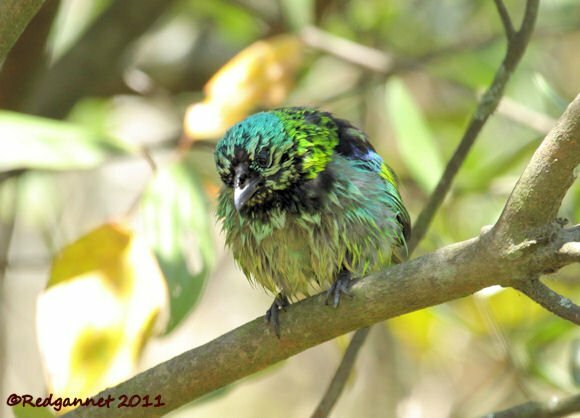 A damp seep provides a place for many birds to come down from the forest to splash in the shallow water. It is worth taking some time to stake this spot out as there is no telling what might come down to bathe. Look for it at the top end of the first lake. While you wait, keep an eye out on the grass behind you. Thrushes are common in the gardens and if you are lucky, the Slaty-breasted Wood-rail might come out for a tour of the forest edge. The less manicured lakes to the south of the entrance gate may bring Yellow-billed Teal as well as Brazilian Teal. Egret will probably be seen and Smooth-billed Anis like to scamper through the bank-side vegetation. The Jardim (Google Earth ref; 23 38 22.02S 46 37 38.58W) can be reached from the Metro station Conceicao on the Blue (Azul) line. A taxi will take 10 minutes from the metro. Ask for Jardim Botanico, Parque do Estado, Cursino. To return, if a taxi is not available, a bus runs from immediately outside the entrance gate and passes the Metro station.A bus ride costs 3 Reas. Please note that the gardens are closed on Mondays, but are open for the rest of the week between 09.00 and 17.00. Parque Estudial do Tiete can be seen on the drive into town from the airport. It does not look inviting to the casual visitor, but a seasoned birder will recognise the potential in what looks like a wasteland with a sewer running through it. The revolting Rio Tiete floods over onto riverside marshes providing a lot of great habitat for birds. The area has been slightly sanitised with a kids’ playground, picnic areas, food stalls, a museum, lakes and well maintained paths, but you will never escape the presence of the river on a warm afternoon. There is plenty of potential for waterbirds here; Wattled Jacana, Blackish Rail and Limpkin are seen on the marshes close to the river. 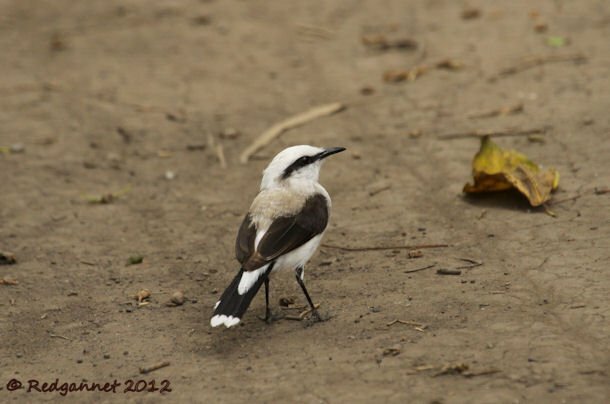 Yellow-chinned Spinetail, White-headed Marsh Tyrant and Masked Yellowthroat are likely in the bank-side scrub. On patches of open water in the marshes White-faced Whistling Ducks, White-cheeked Pintail and Brazilian Teal are all common. It is strange that longer-legged birds are not more common. Great Egret and Snowy Egret will be seen easily, but Cocoi Heron is less often found and eBird makes no mention of storks or ibis. The eBird list for PE Tiete contains only 123 species from 11 checklists submitted. I am convinced that this seriously understates the site’s potential and many more species will be added in the future. A path describes a 5 km circle around the park taking in the various habitats. If you walk in a counterclockwise direction you will pass through some scrub and forest first. 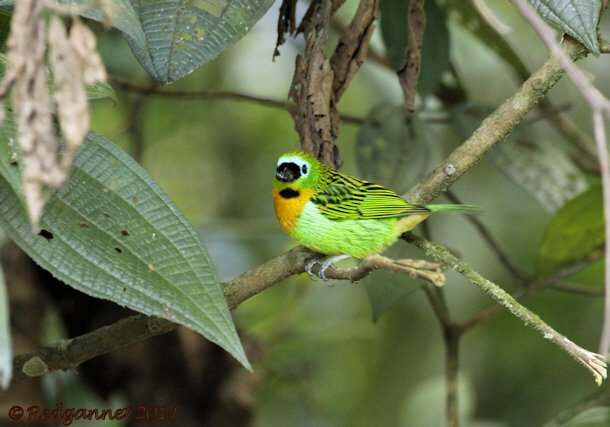 Keep an eye out for Orange-headed Tanager, Chestnut-vented Conebill, Spix’s Spinetail and Southern Beardless Tyrannulet. Banks of Hibiscus bushes provide spectacular red blooms for Bananaquit and hummingbirds. Soon lakes will open out on both sides with Neotropic Cormorant and Amazon Kingfisher featuring strongly. On the left you will find a small island on which some Black Cappuchin Monkeys have been marooned and rely on handouts from the park workers and visitors. 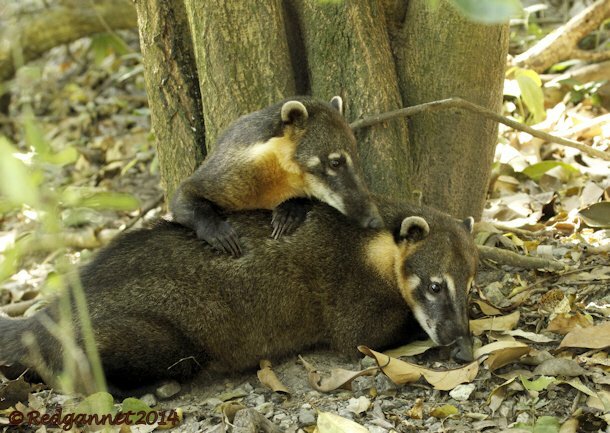 While we are talking of mammals, keep an eye out for the Agouti, Capybara and Coati. Lucky visitors may even spot a Tapir. You will be travelling northeast to start with and may find the low sun of the morning irritating, but once you turn the corner, you should get a better light direction for the rest of the day.Marshes will start to appear after about a kilometre and open spots give views across them to the right of the path. 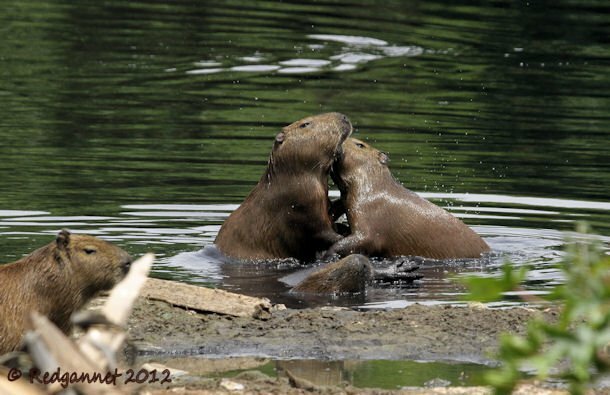 There are a couple of access points to the river where the Capybara enter and exit from the rancid waters. Birdlife here is mostly made up of Common Gallinules which pick for food on the islands of solid matter and old tyres. Take the left turn at the junction after about 2-3 miles. This will lead to a small concession area. Across the lake from here is a picnic area that can often prove to be very productive. If thrushes and Masked Water-tyrants have not yet been seen, this is where they are likely to be. A small section of forest edge might bring some parakeets or a House Wren. Dead snags might hold Scissor-tailed Flycatcher. 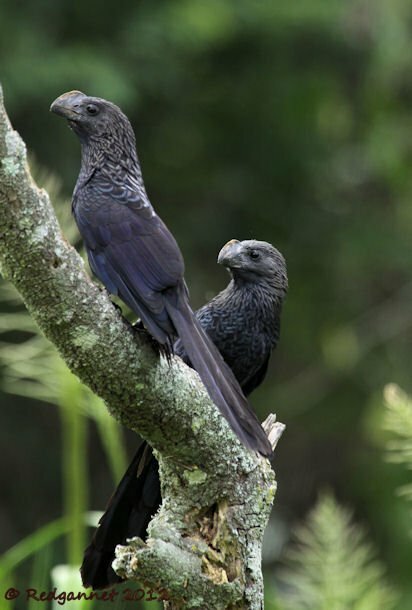 Keep an eye to the skies for Snail Kite and Roadside Hawk and Southern Caracara, but mostly it will be the ubiquitous Black Vultures that are seen. The children’s playground has proved to be the most reliable spot for Southern Caracara if you are still looking. The park is sited close to a poor district of town and I suspect that these areas provide much of the river’s content. Personal security should be a consideration if you visit PE Tiete. Visit as a group and dress down. A scope might be useful here, but it will only attract attention, especially if you have a smart tripod and intend to travel there on public transport. The CPTM railway runs from platform 7 at Bras Metro Station to Eng Goulart (Google Earth ref; 23 29 54.30S 46 31 14.34W). From here it is necessary to cross under the tracks (400 meters back, west from the station) and walk to the park entrance at Google Earth ref; 22 29 43.14S 46 31 10.86W. A tunnel passes under the main road, Rod. Ayrton Senna da Silva, and the park is accessed through the security gate. There are unlikely to be taxis at the park nor will they be found at the railway station. Enjoy the football, enjoy the birds. Great post, thanks! These are lovely photos of gorgeous birds. 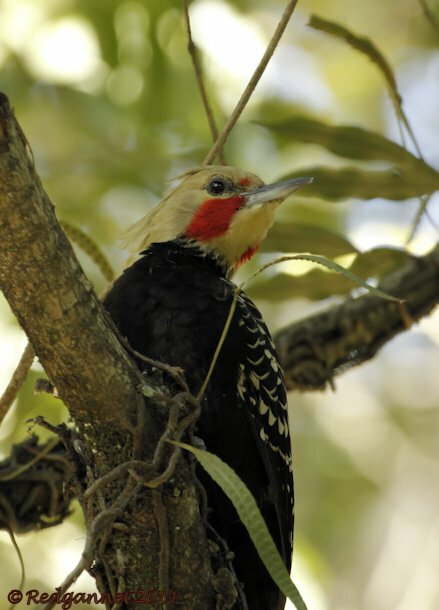 I spent a few months in Brazil many years ago, tragically it was before becoming a birder. That really is an excellent and helpful post, and makes me want to go there! 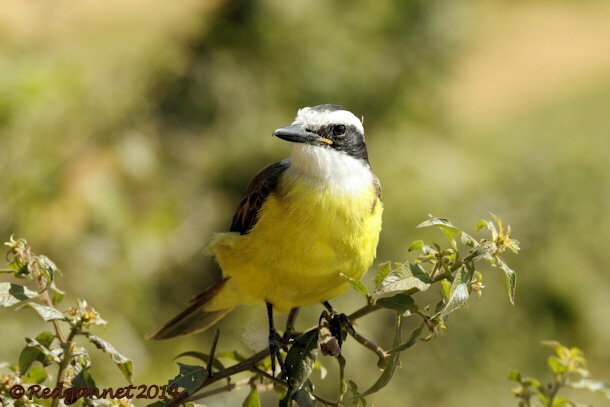 Where Are You Birding This Fourth Weekend of May 2014? Which Juvenile Shorebird is Better? Least Sandpiper or Short-billed Dowitcher?